Measure Your Milk Production And Find Out! You won’t truly know if you are producing enough milk until you find out exactly what your daily milk production is. Fortunately there are two tests that you can use to determine if you are producing enough milk. There are two reliable methods for determining how much milk you are producing. They are the feed weight test and the pumping test. Here’s a bit about each method. Duration: 24 hoursRequires: Extremely accurate baby scalePros: Records weight changes before and after breastfeeding, so it’s great for mom’s who don’t respond well to pumping. Cons: Not great for moms who don’t respond well to pumping. 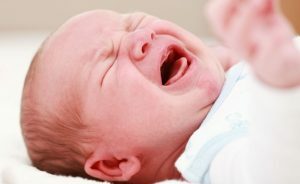 Baby can- not breastfeed during the test and will need to take a bottle when hungry. Both methods are accurate so it’s really a matter of personal preference. If you respond well to pumping and feel you can relax through the test, I’d recommend the pumping test. Even if you’ve never pumped before, but are feeling positive, I’d recommend the pumping test. If you’re sworn enemies with all pumps or are simply feeling anxious about how much milk you’ll pump I recommend the Feed Weight Test. Here are the details of each. You’ll first need to rent or borrow an extremely accurate baby scale such as the Tanita BLB-12 Professional or the Medela BabyWeigh II. A less accurate scale won’t be able to distinguish the slight changes in your baby’s weight that we need to measure. To find one of these scales, contact your OB / Pediatrician, your hospital, your local WIC office, or possibly a private practice Lactation Consultant. Explain that you are doing a feed weight test and need an extremely accurate baby scale such as the models listed above. Once you have your scale you are ready to find out if you are producing enough milk. Take any 24 hour period – it doesn’t matter when you start. You’ll record the weight of your baby immediately before and immediately after each breastfeeding session. Set your scale to display the weight in grams (g). BEFORE you nurse, weigh baby and write this number down. It’s fine to leave his clothes and diaper on – what we’re measuring is the change in weight from before breastfeeding to after breastfeeding. WHILE you nurse, be sure to offer both breasts. AFTER you nurse, immediately weigh baby again and write this number down. Be sure you haven’t added or removed any clothing and you haven’t changed his diaper. It’s fine if baby has a bowel movement while nursing, just weigh him dirty. Then change him. Continue to record the before and after weights for the next 24 hours for EVERY feeding. Feel free to change diapers and outfits as normal when not nursing. After 24 hours, grab a calculator – it’s time to see if you are producing enough milk! For each feeding, subtract the before weight from the after weight. In the example above 4912 – 4874 = 38. Next multiply the total number of grams by .035 to convert to ounces. Continuing with our example: 446 x .035 = 15.6 ounces. Congratulations! You now know exactly how much milk you are producing each day! 15.6 ounces in this example. You’ll first need a hospital-grade dual breast pump. Like the baby scale for the feed weight test, these can often be rented from a hospital, OB / Pediatrician office, WIC office or sometimes from a private practice Lactation Consultant. Be sure to be fitted to the pump by a professional. Generally softer, flexible flanges will provide a better fit (and more comfort) than rigid, plastic flanges. Plan a 4 hour time block when your milk supply is typical – usually mornings and early afternoon are best. You will not be able to breastfeed your baby during the test, so plan to give baby a bottle with the milk you’ll be pumping during the test. Any milk baby does not drink can be frozen for later use. After you’ve finished the fourth and final pumping session it’s time to do some math. Important: This test only uses the pumping numbers from the third hour and fourth hour pumping sessions. You can completely ignore the numbers from the first and second pumping sessions. Add the four amounts from the third and fourth pumping sessions. In the above example this would be 6 + 9 + 10 + 14 = 39 ml. Remember, we’re not using any of the numbers from the first, and second pumping sessions. Divide the total milliliters by 30 to convert to ounces. 39 / 30 = 1.3 ounces. Divide this number by 2 to get the amount of milk your body is producing every hour. 1.3 / 2 = .65 ounces per hour. Multiply your ounces per hour by 24 to determine how much milk you are producing each day. .65 ounces per hour x 24 hours = 15.6 ounces of milk produced per day. Congratulations! You now know how much milk you are producing each day! Are you producing enough milk? 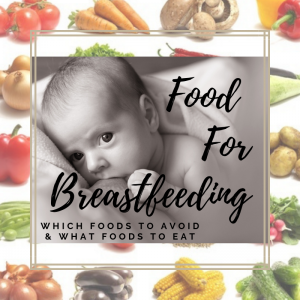 Now that you know how much you are producing each day you can compare it what a baby needs which is typically between 25 and 30 ounces per day. If you find that your milk supply is less than this, like it was for our example mom. Be sure to see the 11 ways to increase breast milk production.